Jimmy Jones is a local third generation farmer in Williamson County who produces the best beef I have ever tasted. I visited Jimmy at his farm this month to find out more about how he does it. After 30 years raising Black Angus cattle, Jimmy has continuously improved his breeding stock for health, vitality and taste. Every year Jimmy starts with approximately 70 calves, then keeps only about 20 of the best to grow out for his local customers. Once the calves are weaned at 8 months, they get one dose of dewormer (with no withdrawal time for processing) and are fed out humanely on hay, grass and a blend of custom milled grains with absolutely no soy. Jimmy feels this combination of feed gives the beef the proper marbling, tenderness and correct ratio of fat to meat. 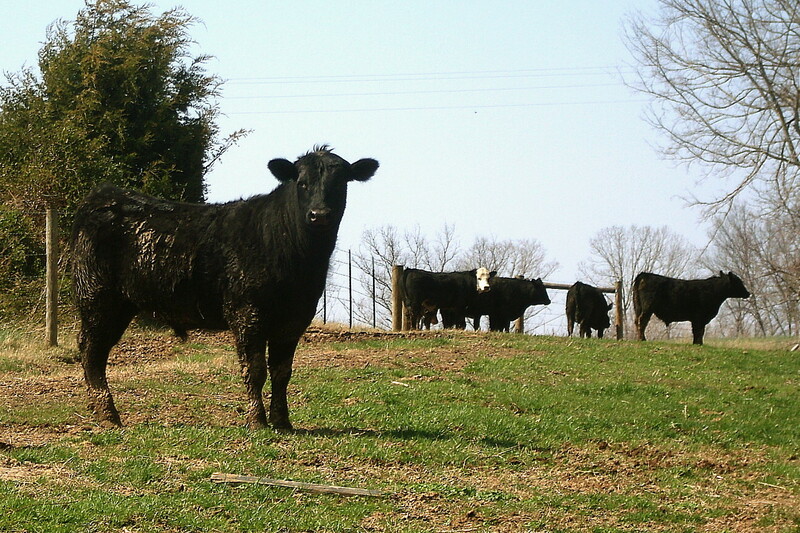 No hormones, antibiotics or other chemical additives are given to any of his beef calves. The processing of any meat might be just as important as how it is raised. Jimmy works with a local processor who will hang the meat for up to 45 days and is an expert butcher. This ensures that all of the time and effort to raise healthy, vibrant calves translates to the best beef possible. Jimmy only has a few calves left this year, but if you don’t get a whole or half from him now, you can always reserve your beef for next year. Contact Jimmy Jones at (615) 418-2119.